I’ve always been in favour of personal development efforts that focus on our strengths, rather than work on our weaknesses. But there are some things we just need to stop doing. And we don’t often talk or think about that. It’s not surprising. Business perspective is predominantly focused on what we did do; what we did achieve; what we did deliver. Results. Results. Results. We don’t celebrate not doing something unprofitable or unhelpful; or avoiding mistakes and errors. Those achievements are not allowed to take up our time or thoughts. They get no attention. Yet stopping is crucial. Well-rounded personal development is as much about doing less of the negative, as it is about doing more of the positive. And that idea becomes increasingly relevant, the more adept we get at our jobs and the higher we go in the organisation. Because over time, it becomes less about skill, or intelligence, or competence (we know our jobs pretty well); and it becomes more about behaviour. Their idea is good as is. No need to add to it if the true motive is just to make it a little bit your idea. Having our high standards is great. We just need to keep in mind they’re ours, not everyone else’s. We weren’t asked, so why do we need to explain why that won’t work. If you must put in, try focusing on solutions. The thought that withholding information gives us a competitive advantage is short-sighted and ultimately the less profitable strategy. Ok, we were standing nearby at the time. But this is their win, not ours. Especially those that claim “that’s just the way we are”. Get back to responsibility and priority and choice. At some point, we need to stop blaming everyone else, step-up and take responsibility. That situation has been dealt with. And now it’s time to move on afresh. These are just a few examples, some of which might be resonating. And I’m sure you can think of others – I know from looking at my own behaviours, I can! I’m not suggesting we stop focusing on developing our strengths. But let’s add to that turning-off some of the more problematic behaviours that are getting in our way. 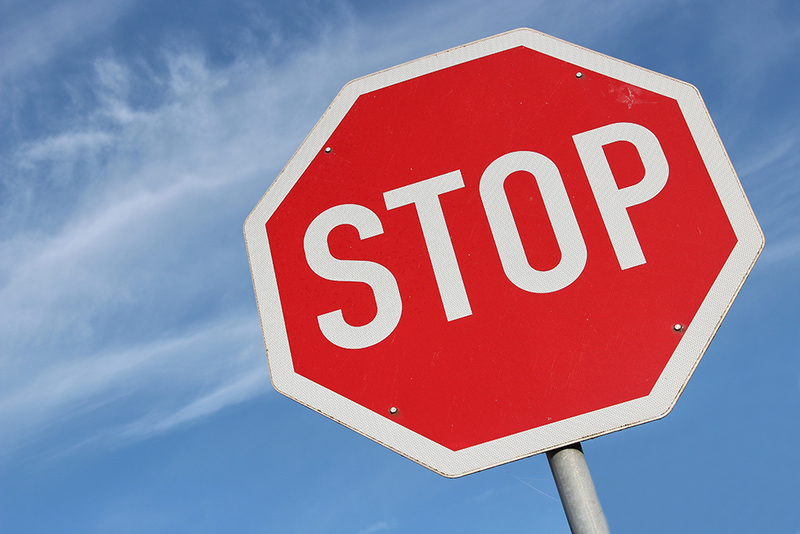 And here’s a usefully motivating thought: stopping is pretty straightforward. We don’t need extensive training or intense practise. We just need a shift in perspective; and the decision to stop doing what we’ve always done. So start improving your behaviour today: add to your ‘stop’ list.